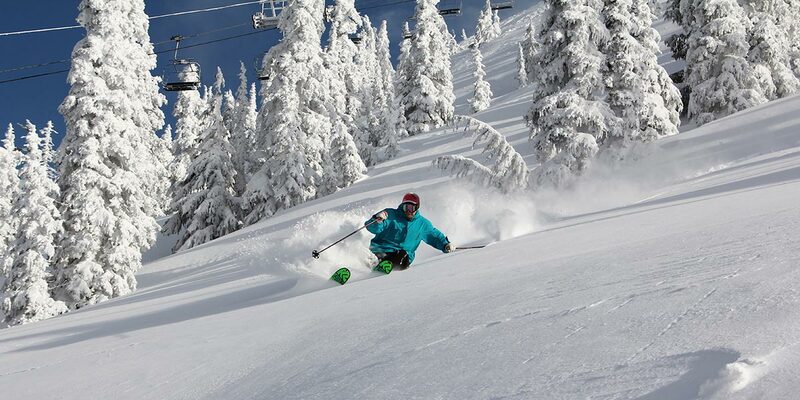 As you may have heard we are having an epic winter of big proportions. 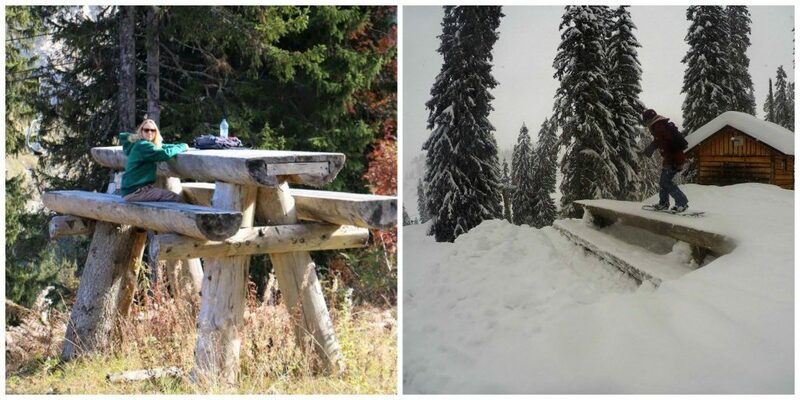 It hasn’t really stopped snowing since November, we can’t really remember the last time we saw the sun! If it carries on at this rate we will still be skiing in August. The snow levels are way above average for this time of year. We have even seen the avalanche risk be raised to 5 out of 5, the most extreme it can be. 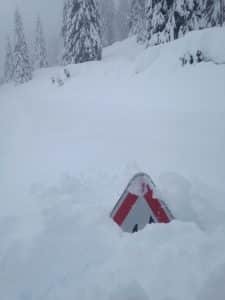 According to local sources we have not seen an avalanche 5 risk in over 20 years, and we have had 2 in 2 weeks. Despite the challenging conditions Avoriaz and the whole Portes de Soleil piste teams are doing a marvelous job of keeping everyone safe. The great advantage of living in Morzine year round is that once the snow melts you get to see what’s underneath all of that snow. You might be surprised to hear that a lot of pistes are actually mountain roads. These are big for cyclists and motorcyclists in the summers. 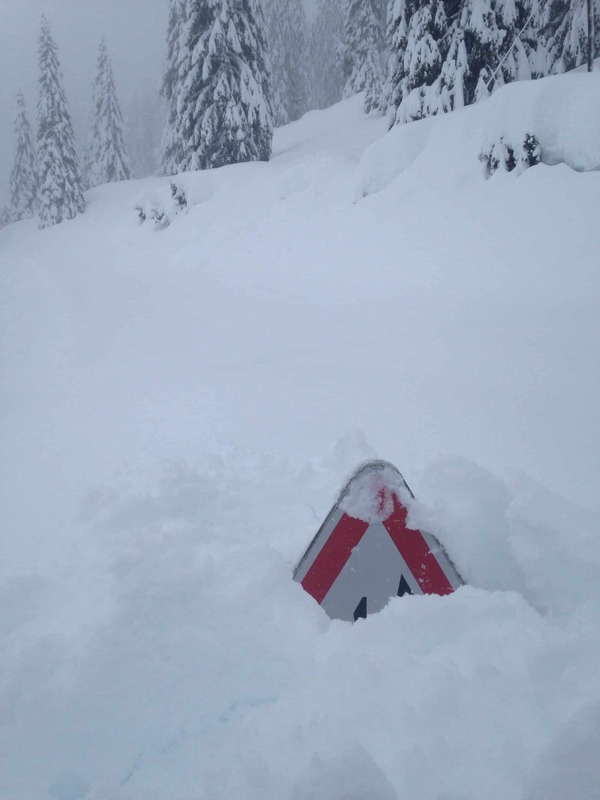 Every now and then you might get a little feeling that you are skiing on a road, especially when you see the top of a road sign peeking out of the snow! The most famous road of all that you ski on, which people might not be aware of, is the Col de Joux Plane. Famous for being part of the Tour de France route when it came through Morzine, It links Morzine to Samoens in the summer. In winter keep an eye out when you are skiing over the Morzine/Les Gets side, as the Choucas Piste follows it for quite a way. If you are like me and love following the weather (I’m a bit of a weather geek!) 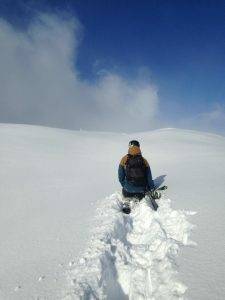 a great site to follow for everything alpine weather wise is www.wepowder.com. Designed and run by powder searching enthusiasts, its a great site to follow for up to date information for weather patterns, snow depths and local avalanche risks. I also like following Henry’s Avalanche Talk on facebook, an expert in his field, who gives great advice and talks about the local conditions and safety when out in the snow.